Winner of our Cowboy Photo Competition, who wins a trip at one of the best dude ranches for families! Melanie Albrecht from Germany is the winner of our Cowboy Photo Competition. Kevan Bracewell and the crew are looking forward to welcoming Melanie to Chilcotin Holidays Guest Ranch, one of the best dude ranches for families, to claim her reward. 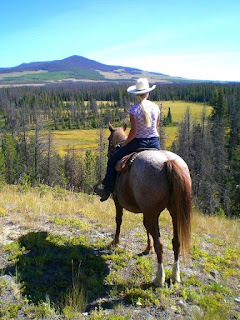 Chilcotin Holidays offers a variety of trips from horseback pack trips to camp based hike trips. Whether your interest is fishing, a wilderness adventure or relaxing in the Canadian Wilderness in British Columbia we will customize a package that matches to your interests. Our goal is to provide a unique adventure experience to each one of our guests so take a look at our website and send us an e-mail detailing what you are looking for from your summer vacation and let us do the hard work for you! Due to our safe horses, friendly staff, and flexible nature, we are one of the best dude ranches for families who want to explore the Canadian wilderness!